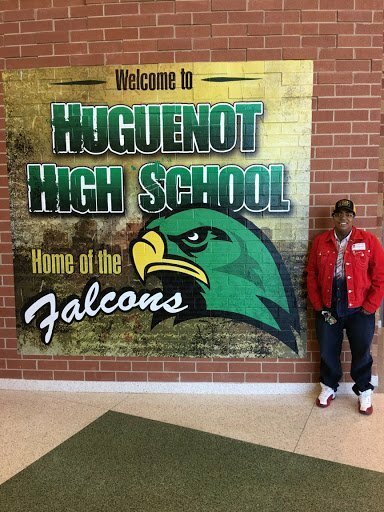 The mission of the Refuge for Men Foundation is to connect economically disadvantaged youth and adults with affordable housing and services while offering community-based learning opportunities to youth between the ages of 12 and 21 that includes the mastery of barber skills, development of social skills and participation in experiential learning. 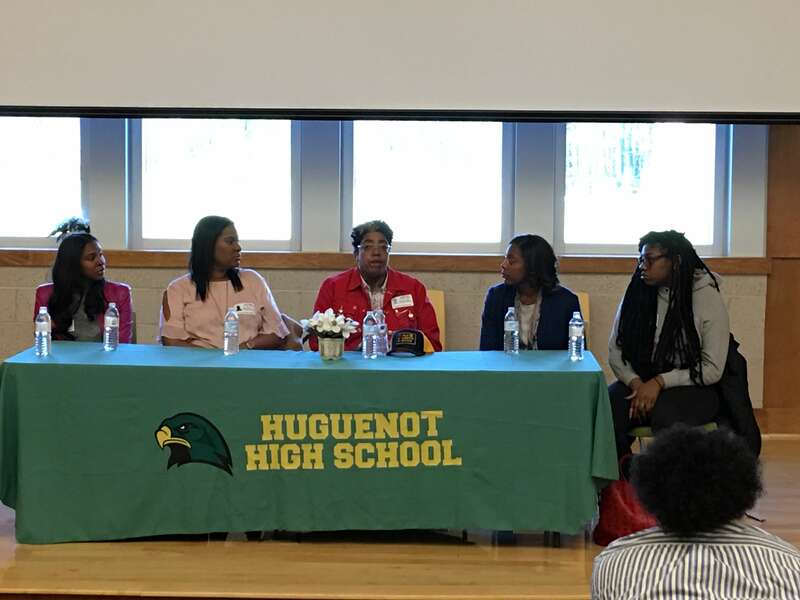 REFUGE CONNECT: A program designed to assist with connecting marginalized youth and adults, including homeless, working poor and elderly with services and affordable housing. 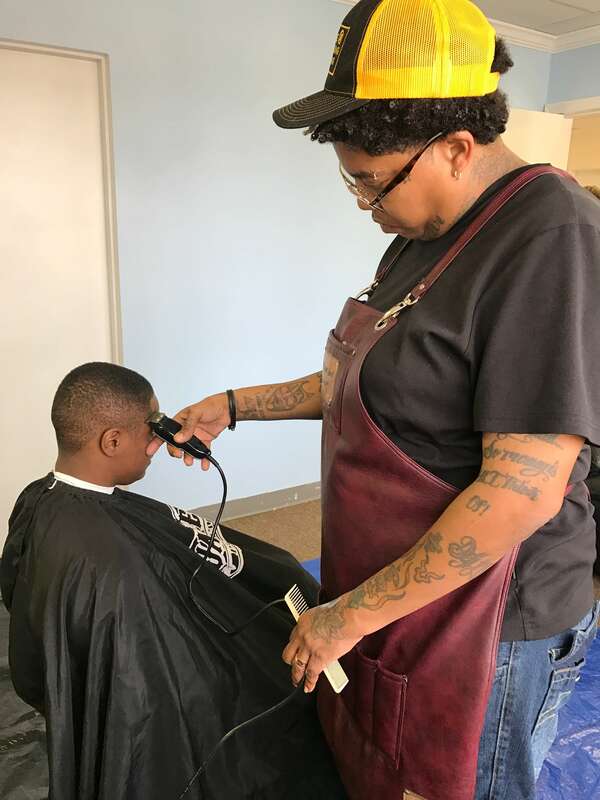 REFUGE KINDNESS CUTS: Assist marginalized community members with grooming services to assist with professionally presenting themselves for an interview or employment. 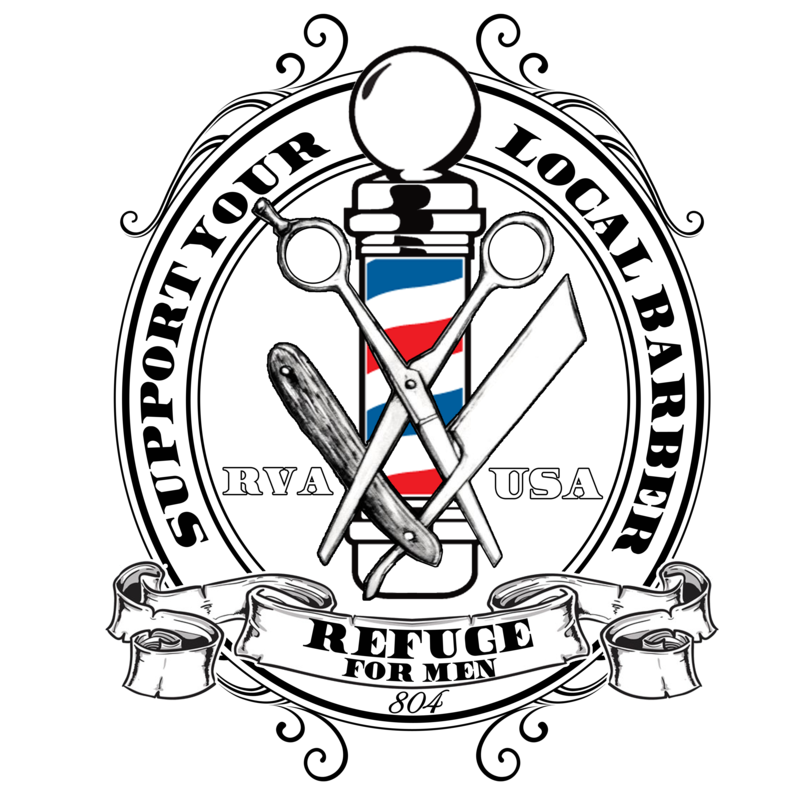 REFUGE COMMUNITY CLIPPERS: A barbering program that assists middle and high school students, who are at risk of systemic problems including drug and alcohol abuse with developing barbering skills, developing basic social skills and contributing to the betterment of the community. Collaborating with existing agencies who offer resources that match the needs of our targeted population. 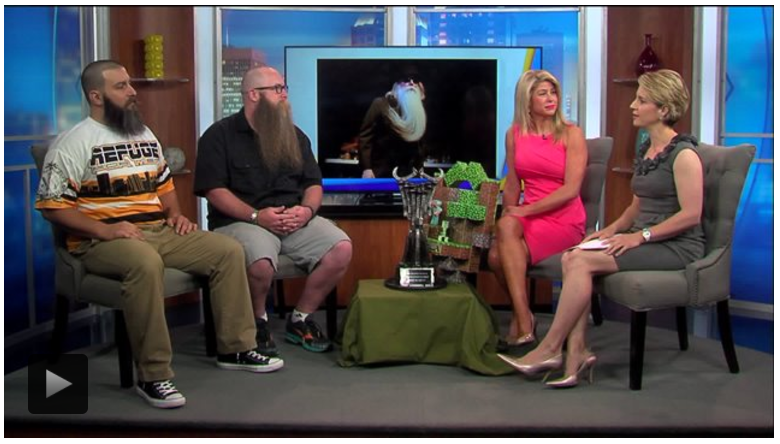 This collaboration will include joint fundraising, production of events, direct financial contributions and sponsorships that support both youth and adults with improving their quality of life while positively contributing to the community. 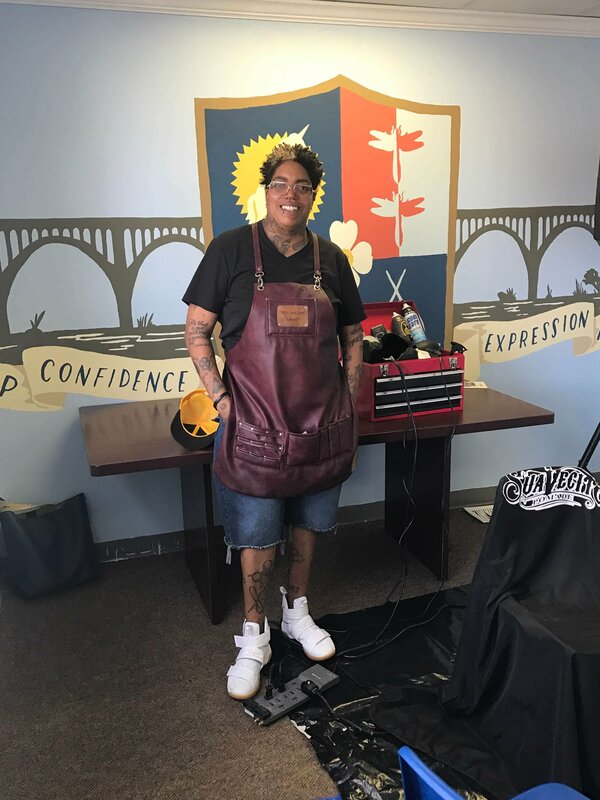 Partnering with established educational programs to provide opportunities and resources to support the mastery of barber skills, obtaining of licensure and securing employment with a salon/barbershop as well as entrepreneurial encouragement and support. Offering Community-based experiential learning opportunities for youth that includes offering services to marginalized members of the community who are homeless or identified as financially unable to afford services. 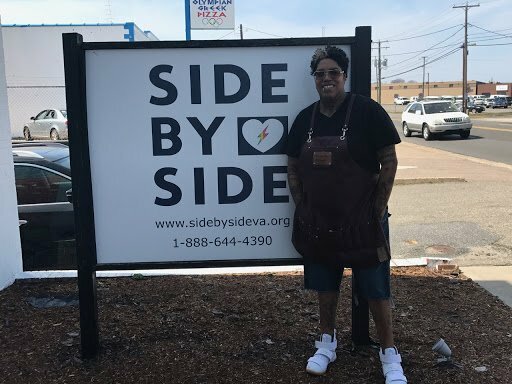 Starting from a shoebox, to owning her own barber shop, to creating a nonprofit foundation, Dot Reid, owner of Refuge For Men, has found her own refuge in giving back to the community. In cosmetology school Reid was asked to build a business out of a shoebox. On the top of her shoebox she wrote the word refuge. This word turned out to be the cornerstone of her business model and how Refuge For Men got it’s name. The store’s slogan It’s not just a haircut means that it is a nonexclusive place where anybody can come, feel comfortable, and receive the services they want. For Reid, the experience is a chance to connect with her clients on more levels than just a haircut. The Refuge For Men Foundation has been doing nonprofit work for eight years, however the foundation was officially incorporated as a nonprofit in 2015, which has made partnering businesses more inclined to help since they can receive a tax break. 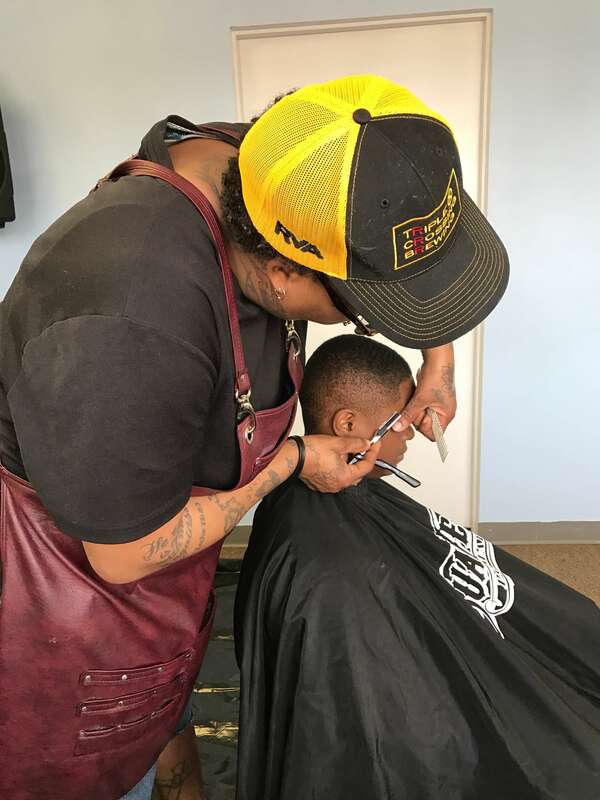 The mission of the foundation is to connect economically disadvantaged community members with affordable housing and services while offering community-based learning opportunities such as honing barber skills and social skills. The foundation has a three part program that works toward providing these skills. 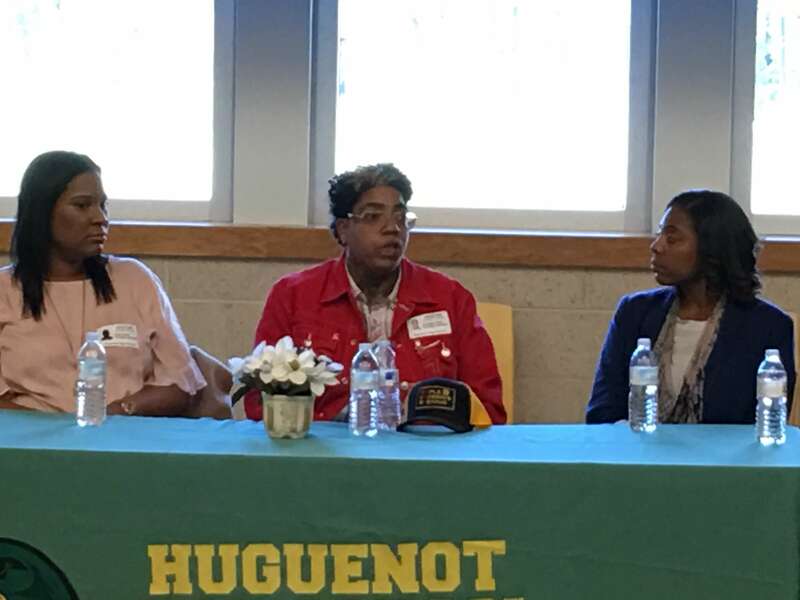 The first aspect of the foundation is called Refuge Connect, a program that works with marginalized individuals to assist in providing services and affordable housing. The Richmond Housing Authority helps provide vouchers for the second aspect of the foundation, Refuge Kindness Cuts. 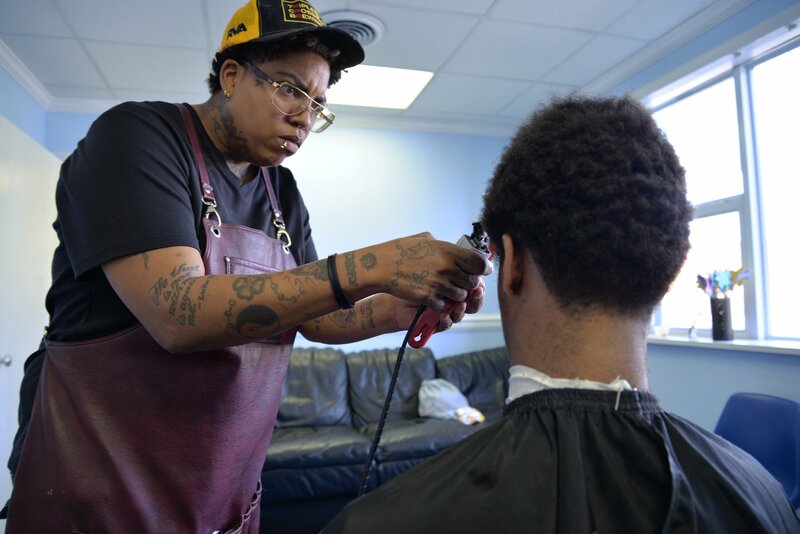 This program offers grooming services for marginalized community members who otherwise can’t afford them. 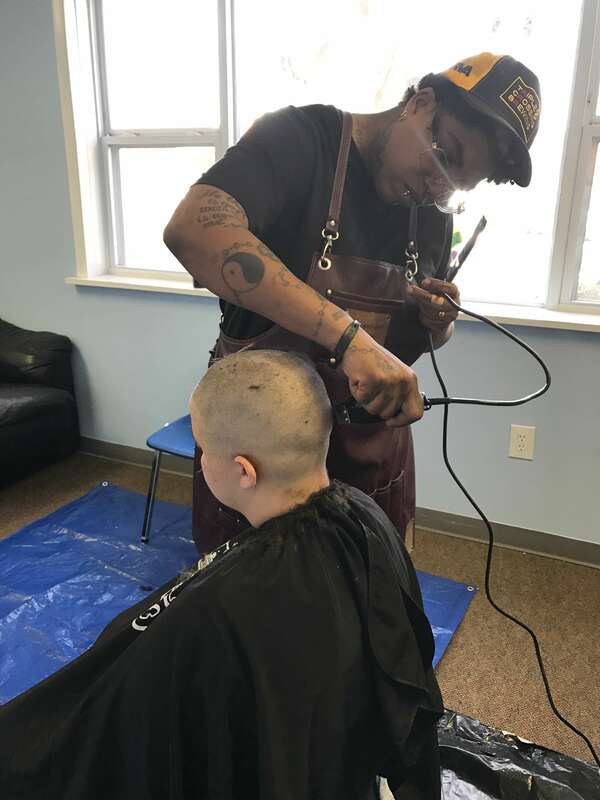 The final part of the foundation’s mission is called Refuge Community Clippers, a barbering program that is offered to students at risk of systemic problems, such as drug addiction. The program offers to teach them barbering skills as well as helping them develop social skills. In addition to the Refuge For Men Foundation, the store has helped provide resources or funds to different aspects of the community. “Each November we sell gift cards and donate 100 percent of the profits to Massey Cancer Research. In the last two years we’ve raised close to $15,000,” said Reid. 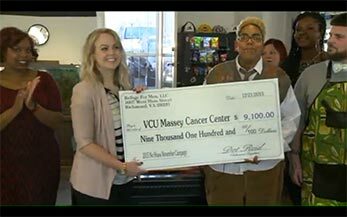 She also works as a ram to ram mentor at Virginia Commonwealth University’s school of business and helps to work with distributors of hair products to acquire quality shampoos, razorless hair removal, and dry shampoos for the homeless. Also in November, Refuge has a two hour session only for men where they can ask a doctor any questions they may have about health. “When I started there weren’t any salons, per say, exclusively for men,” said Reid. “It’s a place for men to get the services they want without feeling weird.” Although the name of the shop is directed towards men, it is still a nonexclusive place for everyone. 25 percent of each days customers are still women, said Reid. Her inspiration for the style of the shop itself came from traditional barber shops that offer private time with your barber upstairs as well as having the modern walk-in style downstairs. 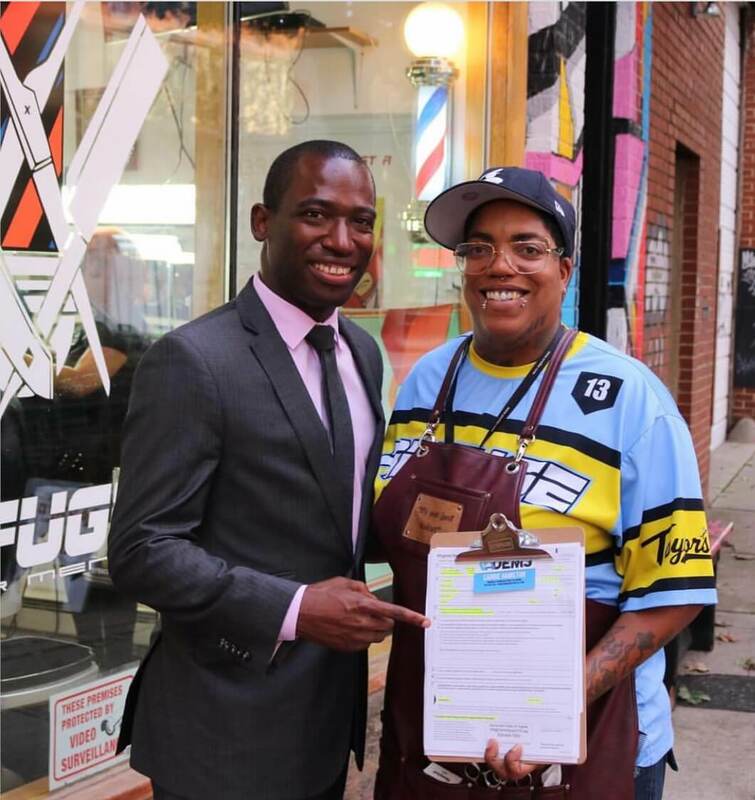 “Barber shops were considered the glue, a connector of the community, a place for sharing news,” said Reid. In addition to the service, the surrounding is a part of what makes Refuge For Men so unique. Reid’s love of art is present all over the shop, from exterior to interior. After she owned her first shop and saw the inspiration and struggle that artists go through, she wanted to help provide a way to showcase that work. Most of the artwork done at Refuge For Men is by an artist named Hamilton Blass. In Reid’s office, a large painting of an octopus wraps around the room. “I’m an Aries which is a fire sign. I believe opposites attract and I’ve always been attracted to water,” said Reid. “I love looking at water because it’s a serene and relaxing thing.” In addition to the painting there are three fishtanks either built into the wall or surrounding the room. A projector screen can also be found in her room. “Projectors are unique and the screen of the projector is larger than any of the tv’s found in the rest of the shop. Since I’m the boss I’ve got to one up everyone else,” said Reid. Reid always loved the feeling of a barber shop and was also looking for the aspect of sustainability in a career. “Hair always grows,” said Reid. In the future she is hoping to mature as a business owner, be more objective, and understand delegation. Reid hopes to take her business from a macro level and focus on the small details that are just as important.